This elegant display is perfect for just about any occasion. 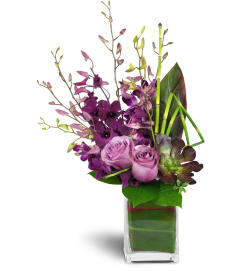 Lavender roses and smooth white lilies look equally at home at the office or on the hall table! 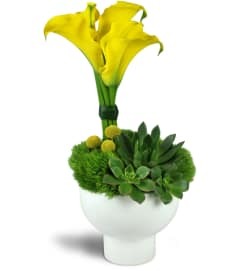 Whether saying congratulations on a job well done or to celebrate a special birthday, this graceful beauty is sure to make them smile. 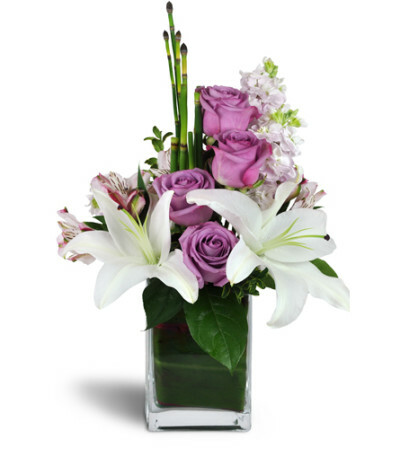 White asiatic lilies and lavender roses are arranged with pink alstroemeria, horsetail, and more in a modern rectangular vase. Ordered flowers online. They were very helpful when the recipient of the flowers were not home to accept it. Stunning arrangements did our wedding. We could not have been any happier with the outcome. 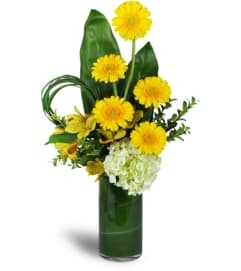 The level of professionalism exhibited far surpasses any other florist we dealt with. The delivery and set up was perfect, the quality unsurpassed and the customer service was last of a massive company with the small business family feel. Stunning Arrangements is a Lovingly Florist in Little Ferry. Buying local matters. Discover how Lovingly supports local florists. Copyrighted images herein are used with permission by Stunning Arrangements.